With all the controversy and drama that this song and video has caused, Kanye West could clearly care less, in true Kanye fashion. The "Famous" video dropped exclusively on Tidal about three days ago, but it was released on YouTube today. The infamous video shows a few notable celebrities such as Rihanna, Anna Wintour, Chris Brown and Taylor Swift, sharing a bed naked. But before you get yourself all amped up, these are definitely not the real celebrities. Kanye had wax figures in the video to resemble the various celebrities. Ironically, the video also featured both him and wife's (Kim Kardashian) exes in the video, Amber Rose and Ray J.
Kanye always knows how to ruffle feathers and he definitely accomplished that and more with this video. 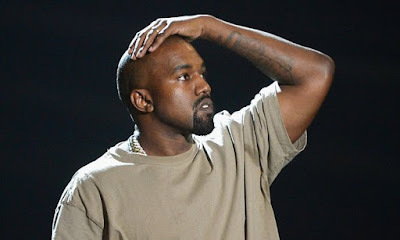 The song was featured on his The Life of Pablo album that dropped earlier this Check out the video below and see why the video was so controversial.